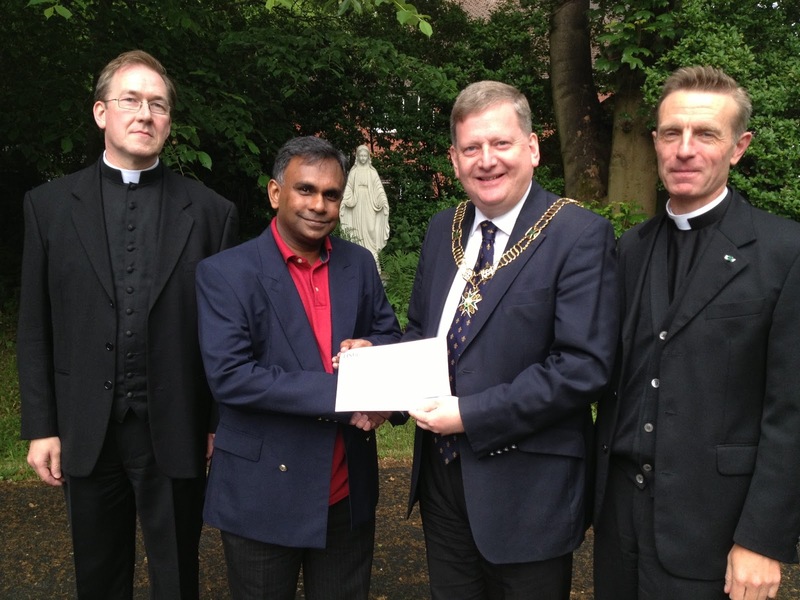 Recently, Mr Pradeep Amirthanayagam, Vice-Chairman of the Board of Directors of SUROL, the Sri Lankan Leprosy Charity which the Grand Priory supports, was in Britain visiting family and was able spend some time with the Grand Prior and members of the Order. 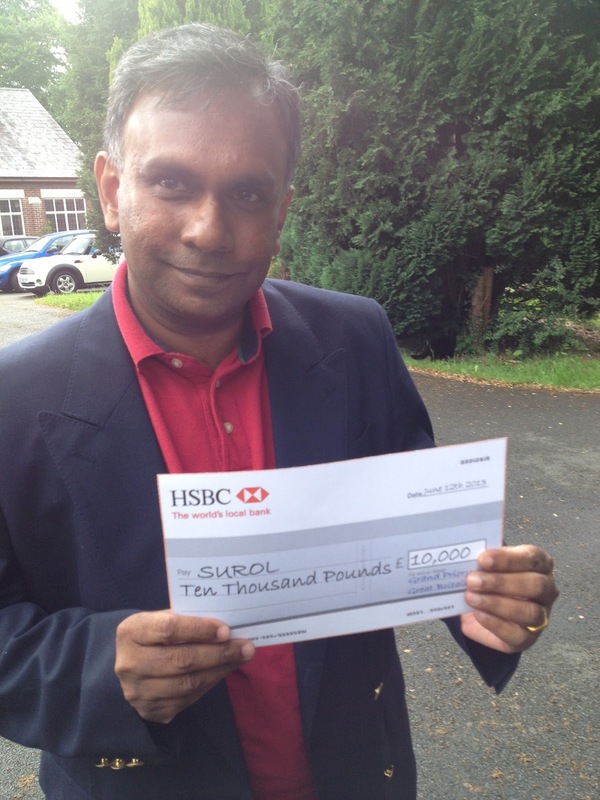 We were very happy to have the opportunity of presenting him with a cheque for SUROL for £10,000. The Grand Priory raised the money through various events over the last year. Since the end of the civil war in Sri Lanka SUROL has discovered a whole new clientèle of those suffering from leprosy in the Tamil area that was formerly inaccessible to them whom they are now trying to assist. Their outreach work has effectively doubled.